Raise and sell exotic fish! 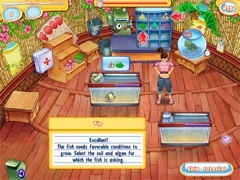 Jenny dreams of running her own aquarium, but all she has to her name is a rickety shop and a few small fish to sell. Help her go from these humble beginnings to managing the most spectacular aquatic attraction in the world! 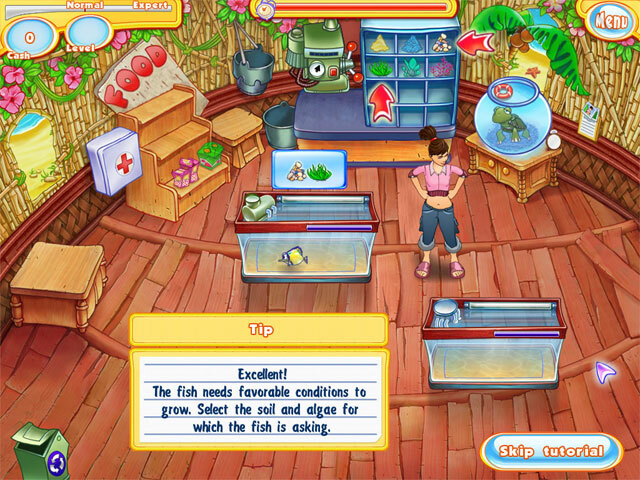 You'll raise exotic fish using a variety of foods, outfit your shop with the latest equipment and decorate your surroundings to please your customers. 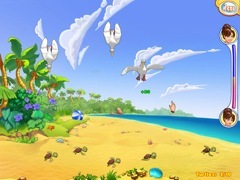 This delightful game will lure you in with colorful graphics, enchanting sounds and addictive beat-the-clock gameplay. Will you take the bait? 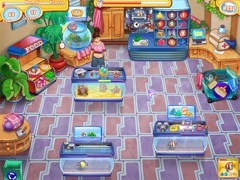 Play Jenny's Fish Shop today!